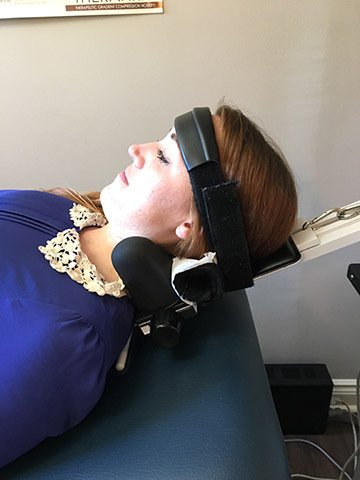 Decompression Therapy A component of post-concussion syndrome involves damage to the structures of the neck which can contribute to neck and head pain. Gentle, controlled traction is effective at addressing the issue in a conservative way. Treatment is typically spaced out over a period of weeks. Using specialized equipment to help guide the internal structures of the neck and spine, we can relieve pressure from problem areas, allowing them to heal and reduce pain. The treatment is gentle and adjustable to ensure your comfort. This can also relieve neck pain resulting from poor posture, spine injuries, and more.